Wonderbag CEO and Founder, Sarah Collins, traveled to Rwanda to activate Wonderbags and hold a Wonderfeast in a Burundi refugee camp. This is one of the first of many refugee-focused Wonderfeasts this year. 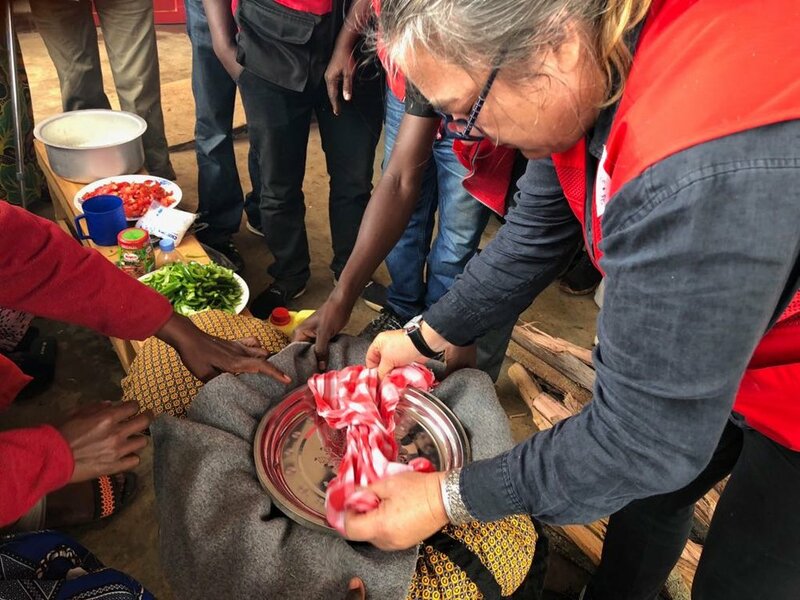 It is with Wonder and humility that I have spent the past few days with my colleague Sarah Jane Gullick activating Wonderbags in a Burundi Refugee Camp on the border of Rwanda and Tanzania. 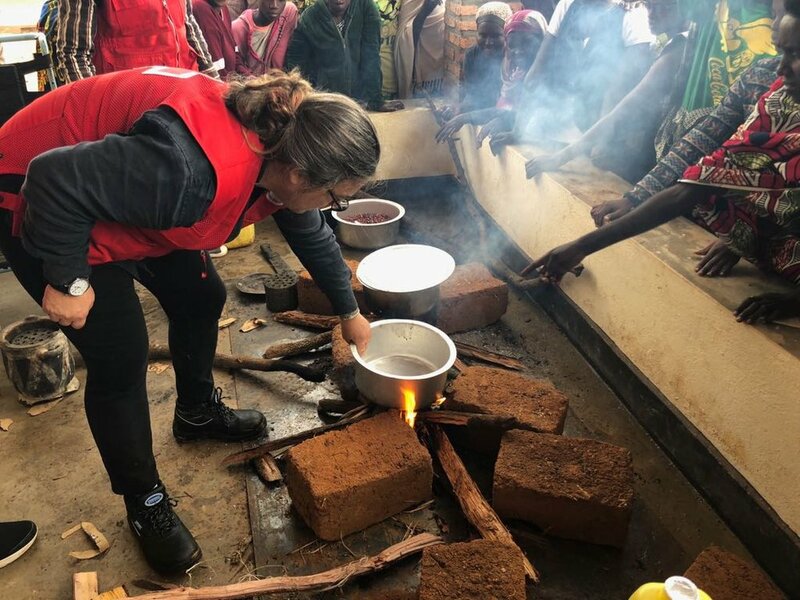 The Red Cross invited us to participate in solving a humanitarian crisis which is growing daily: the crisis of cooking fuel, such as firewood and charcoal, which has run out in the camps and host communities. It is indeed a massive crisis in the whole of Rwanda but on this trip we are focusing on Refugee camps. Rwanda has a population of 11 million people with 400 homes per sq km. This work is my happy place, close to the earth of Africa and the people who inspired me to keep going these past 10 years. I always find the joy in such rural and deeply vulnerable communities so incredible and further reinforces my determination to keep going until I get Wonderbags into every home that needs one. It is with all of your support and the grass roots NGO’s working at the coal face that action happens. 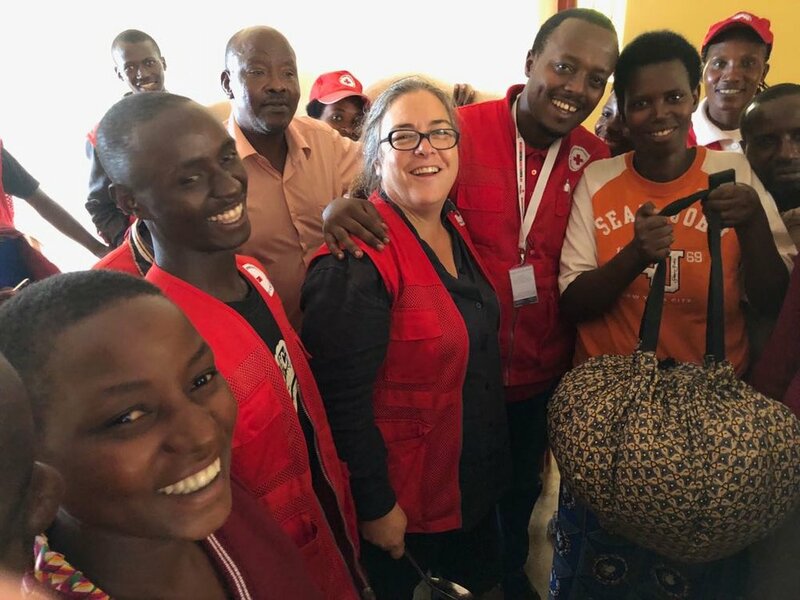 I cannot begin to thank the Rwandan Red Cross team enough for being unbelievable hosts. We had a lot of laughs along the way. The road are impossible, trucks stuck, deep mud ruts and all driven so graciously by Moussa, we did get out and push once! We cooked 4 meals per day in 30 mins, and the rest happened in the Wonderbag. I just adore seeing the magic happen as we open the Wonderbags, and as we appoint WonderWomen to take care of these communities and to become part of the team. The sheer excitement and gratitude shown by every individual is beyond words, and it’s why I do this thing, one day, one bag at a time. Even wearing gum boots and cooking on fires in the rain, I dare anyone to keep a fire going in the rain, well we did and everyone got fabulous meals on both days, Wonderfeasts of note! And the hugest Thank you to Sj for helping me break the glass ceilings on globally conscious capitalism, breaking the mold of Aid and scaling social businesses to empower and not follow old patterns of Aid. She is just 100 % the right person as we know one another like the back of our hands, having shared a tent for two years back in 1996/7 with Tigger her beloved dog, Koro our rescue yellowbill hornbill and our friendly Wilderbeast that slept on our tented verandah. We may have got older but the laughter never stops. With much love from Kigali.